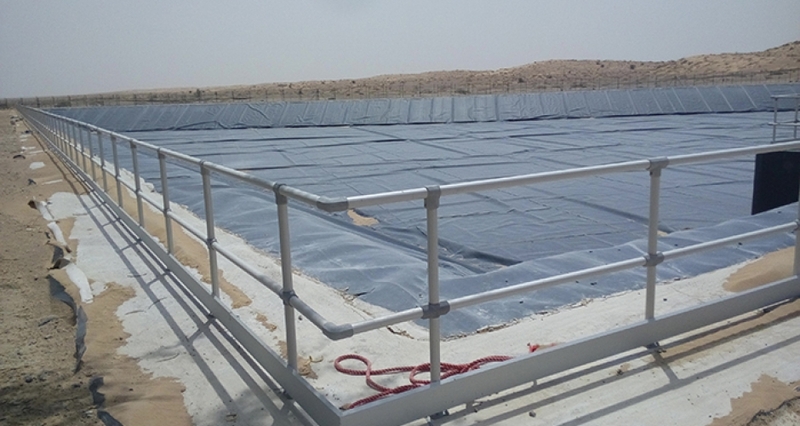 Kee Safety LLC has provided safety railing systems to a new Sewage Treatment Plant in the UAE. 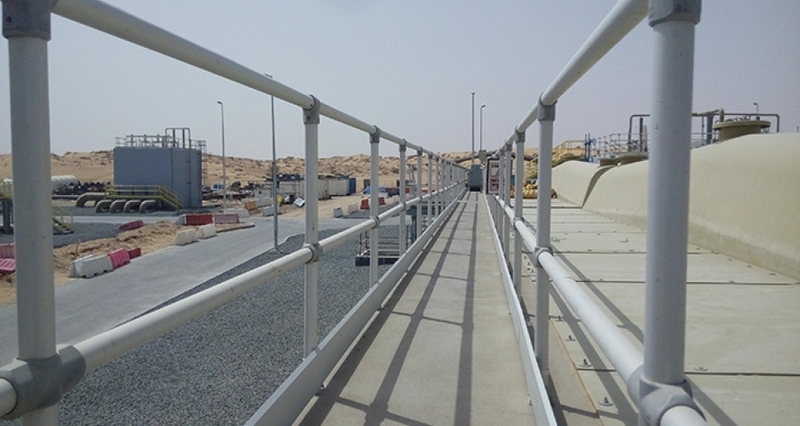 Kee Safety has designed and supervised the installation of approximately 2,570 meters of KEE LITE Anodised Aluminium twin rail with aluminium toe board. 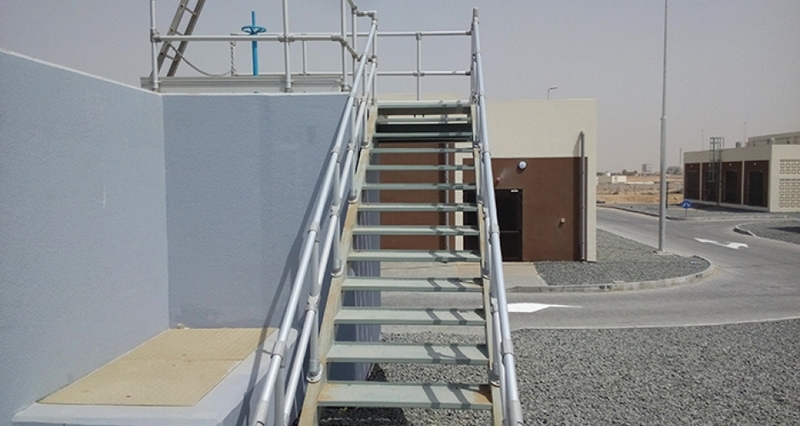 The project involved the installation of Handrail on external Staircases, 40 x Tanker Discharge bays, an internal staircase within the administration facility and a large Lagoon Area. The railing system has been constructed using our KEE LITE Aluminium fittings and aluminium tube. 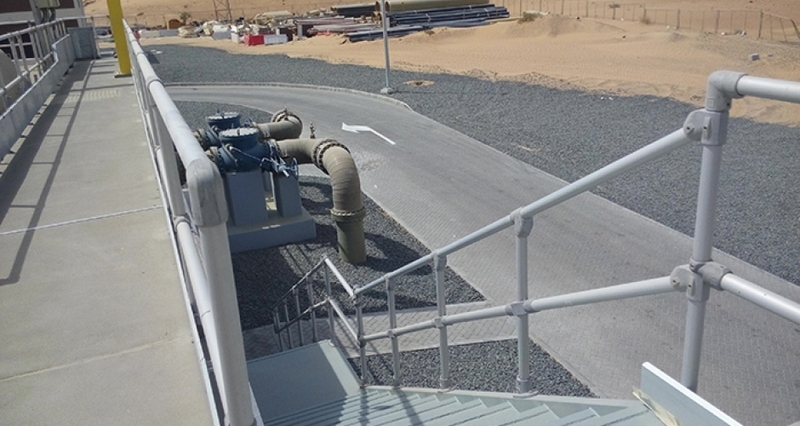 All aluminium fittings and tube were anodised to provide the extra corrosion protection needed for the harsh environment at the sewage treatment plant. 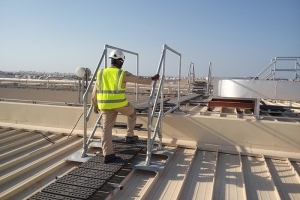 Kee Safety has the ability to supply off the shelf anodised KEE LITE handrails and guardrails. 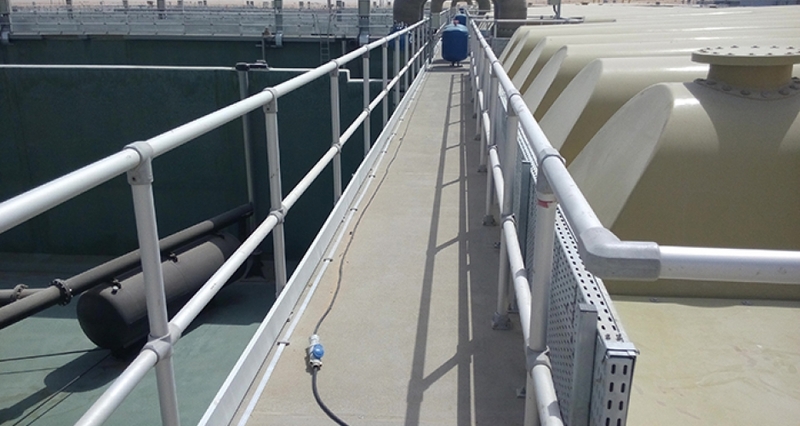 Slip-on modular fittings offer quick and cost-effective solution for constructing safety handrails and guardrails. 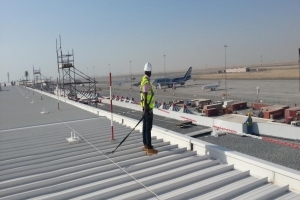 To learn more about advantages of using fittings in construction of safety railings you can watch our video “Fittings vs. Fabrication”.